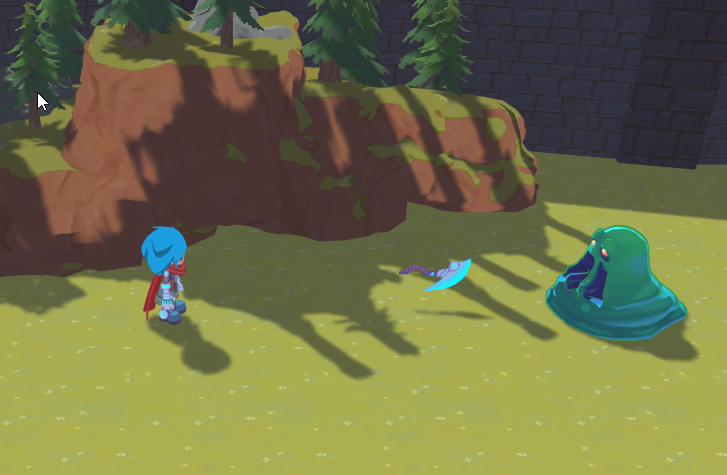 We want to create a dynamic game where the player feels they do more than just run around, collect things, complete quests, and fight enemies. Although those can make for an excellent JRPG we are looking for a bit more. This week we started looking into field skills that the player can use while exploring the overworld. Each character will have a specialized field skill. For example, Baird can throw his weapon to stun enemies and either run past them or gain a surprise advantage in battle. We are also discussing the idea of having it simply kill overworld enemies if they are a much lower level than the party so the player doesn't have to fight extremely low level enemies if they don't want to. Of course, we plan on having these enemies run from Baird but chasing them down might be a satisfying experience. Other fields skills we're looking into involve solving puzzles, hacking terminals, crashing through walls, unsealing magic areas, and clearing obstacles. These are all still very early discussions but they open up a lot of ideas to make the game more enjoyable. Baird's field skill is in its initial testing phase so none of the animation is complete yet but it feels like a great way to interact in the overworld besides just running around and jumping.